Google Calendar and Maps get a fresh new look… more makeovers on the way. “Quick add,” which is now under the down arrow next to the Create button. Calendars selected for viewing in your My calendars and Other calendars lists will have colored arrows next to them as opposed to colored backgrounds. Print and Refresh buttons are now icons rather than text links. Visual indicator icons such as alarm clock icon for events with reminders, person icon for events with guests, etc. will only show when hovering over the event. My calendars and Other calendars lists on the left are now collapsed by default and may be expanded using the small gray arrow. 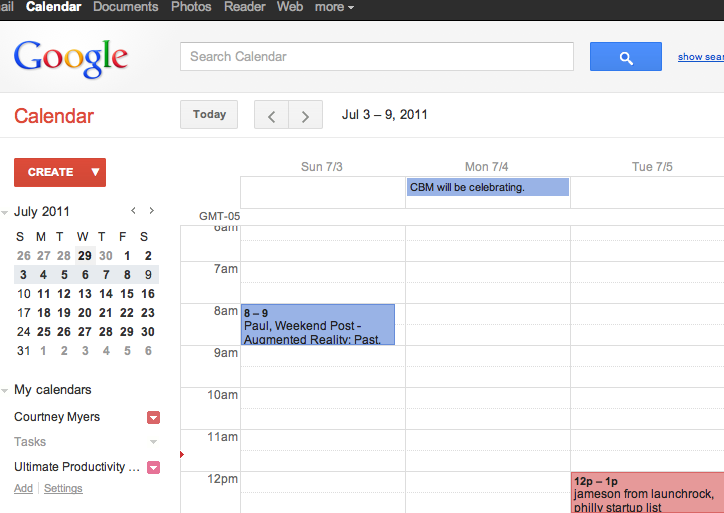 Google says expect more changes to the look and functionality of its Calendar throughout the summer and into the fall. 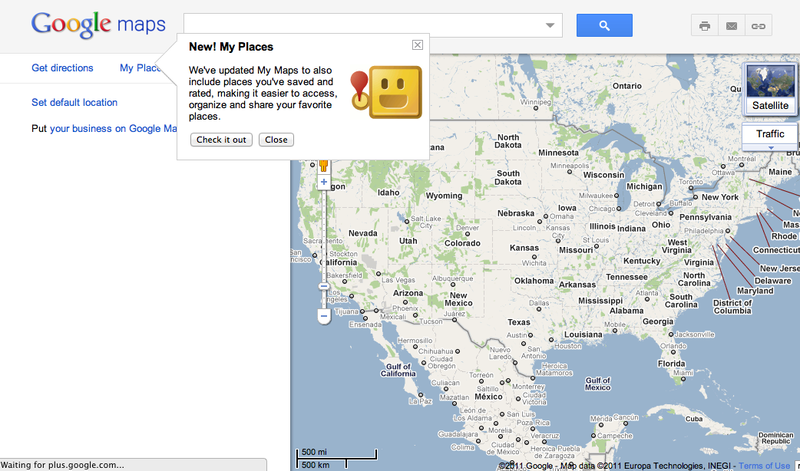 Google also updated its Maps today. Google Maps are updated to include places you’ve saved and rated, adding clout to Google Places, Google’s evolving shopping products and possibly, Google’s adventure into the daily deals space with Offers. Why has Google made these changes? Google has always been on the cutting edge when it comes to technology and its functions in our daily lives, but it’s a breath of fresh air to see the company concentrating so diligently on the design side as well. Google’s previous lack of attention to aesthetics has led its many Apps customers to become devoted Apple fans. Its design and social efforts are going to give Facebook and Apple reason to hold more than a few board meetings. More on Google’s new design philosophy here. Looking forward to new looks from Google. After all, remember the original Google?